Petersburg based photographer, Pavel Platonov collaborates with the Mariinsky Theatre, the Academy of Russian Ballet and works in the genre of exclusive photo projects. Known for his characteristically unique voluptuous compositions, this photographer from Saint-Petersburg, Russia, creates his timeless shots with incredible meticulousness, choosing every venue and every prop with great precision, highlighting the romantic and suggestive nature therein. Imbued with a classic glamor and the sensitivity of a master painting, Pavel Platonov’s seductive heroines come across as relaxed, while entertaining a certain titillating aloofness. Pavel Platonov's "Onegin. Return." exhibition is a part of a larger project, which have aimed to show "the idea of ​​timelessness in the inner life of human beings," tell "the feelings that arise between the two, out of time and without Borders", and, in addition, to give us a new view of famous works of world classics". He is one of photographers, who brings us into his world of poetry; he seems to draw his inspiration from the general currents of the world's literature, from certain sentences in books and poems, the natural world, but, above all, he is inspired by his fleeting memories and nostalgic feelings. In his work the photographer has his eyes open at once upon the past, the present, and the future. He tries to draw a parallel between the past and the present time. He brings to life Alexander Pushkin’s 1825 novel Eugene Onegin, which is considered part of the foundation of Russian literature. On the surface it’s just a sad tale of a man and woman who can’t get their timing right—she falls in love too soon, he too late. Eugene, the title character, is a rich young man, a citydweller. He couldn’t be more different from Tatiana, the bookish, romantic girl he meets on a visit to the country. Yet Tatiana finds in him the hero of her dreams, and impulsively pours out her heart in a letter—which he courteously but firmly rejects, advising her that it’s not wise to show her feelings so openly. Photographer likes to talk about the eternal - the feelings between the two. This is something that unites all ages, brings us back to basics. To ourselves. In his work dedicated to ballet photographer becomes a tale-teller. Photographer’s endless fascination with ballet characters and forms makes him to explore the personal realities of modern ballet dancers, capturing the most fascinating moments. It's a world where all is sweetness and delicacy and harmony, and where there is no pain and weariness. 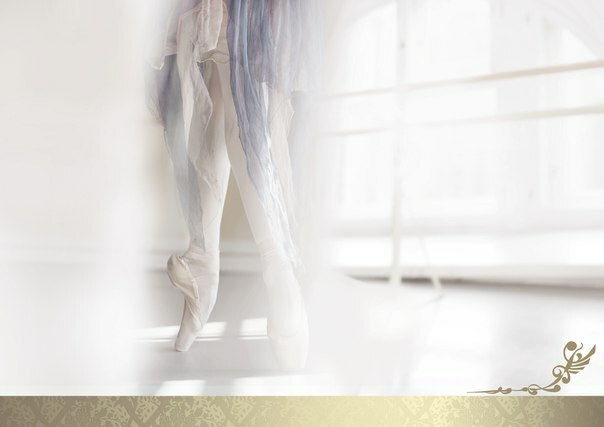 Inspired faces, straightened back, rustling pointe shoes… amazing world of ballet captivates the mind, music captivates the ear and viewer begins to understand that harmony is there, and the soul of the world still exists. Exploring ballet dancer’s silhouettes, he captures the beauty of movement through the dance of students at Vaganova academy. This photoshoot gives a unique insight into the world of dance through the stories of Vaganova ballet students. The newest addition to the successful dance series is a “Cinderella” photoshoot. Soft, feminine and full of life Cinderella photoshoot is a dedication to academic, designed and at the same time lively, distinct, full of warm humor, spectacle. Photographer’s captivating portraits are admired for their insight into character, radiance of light and color, and painterly fluency and immediacy.